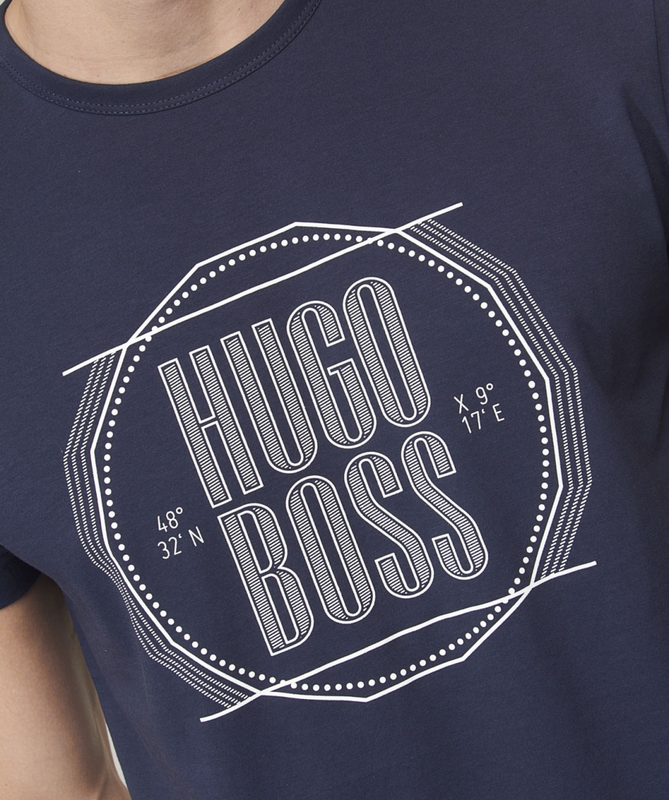 Hugo Boss was founded in the year 1924 by Hugo Boss and has its headquarters at Metzingen, Germany. It is a world famous design and clothing house that has been extremely successful because of style, class and quality. Today the company is an icon in the fashion world. If you have a problem with your order or a product you can reach the German head offices at Hugo Boss International Markets AG, Dieselstrasse 12, 72555 Metzingen, Germany. To reach the customer service number directly dial +49 (0) 7123 94-0 or fax:+49 (0) 7123 94-80259. 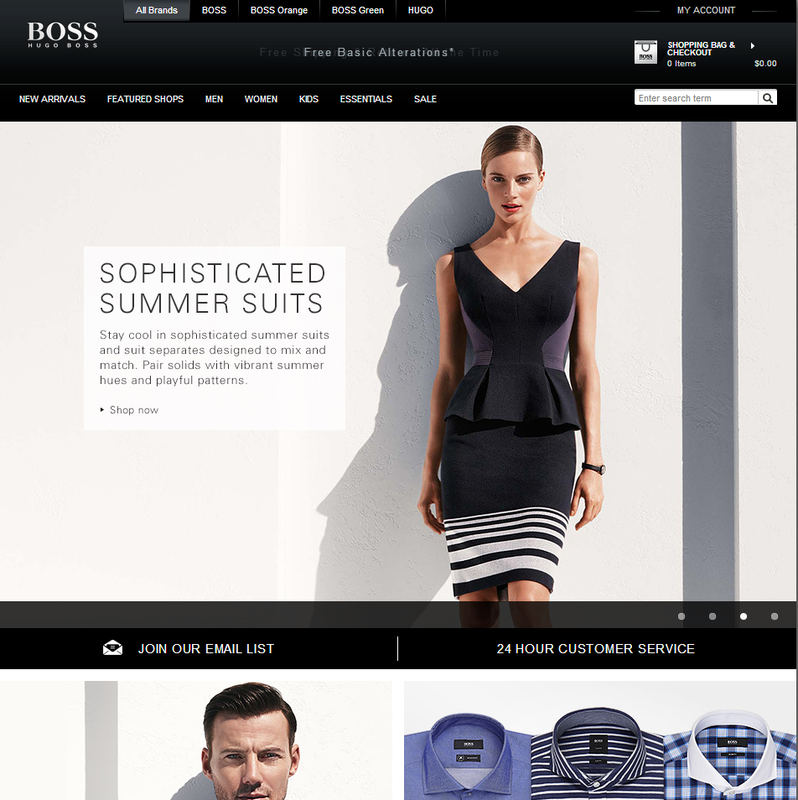 For direct complaints you can email service@hugoboss-store.com. Common issues with Hugo Boss relate to their many items for sale currently including Dresses, Blouses & Tops, Suits, Blazers, Skirts, Dress Pants, Jackets & Coats, Leather Jackets, Sweaters, Jeans & Casual Pants, Shoes & Boots, Belts. The company has also expanded in recent years to include additional products like Handbags & Clutches, Wallets, Perfume, Hats, Gloves & Scarves, Watches & Jewelry, and Sunglasses. HORRIBLE CUSTOMER SERVICE IN BELLEVUE WA STORE ON DECEMBER 21ST. HE YELLED AND ABUSED ME IN FRONT OF OTHER CUSTOMER. I WANTED TO PURCHASE HE WASNT ABLE TO RING ME OR EXCHANGE MY ITEMS. I HAVE VIDEOTAPE AND ALSO YOU SHOULD BE ABLE TO SEE THE VIDEO IN YOUR STORE. HE WAS YELLING, RUDE AND NO POLITENESS. I WILL NEVER ENTER THE STORE AGIN. I HAVE NOT EVER RECEIVED SUCH A HORRIBLE CUSTOMER SERVICE EVER FROM ANYWHERE OTHER THAN THIS STORE. HORIBLE HORRIBLE HORRIBLE CUSTOMER SERVICE! I WILL NOT GIVE ANY STAR TO THIS KIND OF SERVICE! TELL ME WHERE TO CALL TO TALK TO YOUR SENIOR BOSS. Quality products as long as they are delivered. They opened an investigation as I did not receive the delivery, and told me to wait 8-10 business days for the investigation result. I called again 10 business days later, and customer service told me to call back in 3 additional business days. I called again and they still couldn't provide any update. As of this review, it has been 30 days (xmas and holidays are over) and there has been absolutely zero update from their customer service. This has been an infuriating experience. Their negligence to help me with my order is shameful. The returns and exchanges specialist I was dealing with was having trouble processing my credit card on July 18th around 7:30 PM EST (order#43590088). He gave me 3 options with respect to processing this order later. One was that he would call back in 1-2 hours. I asked him if he was sure he would call me back in and he said he would. It is now 8:00 AM EST on July 19th and I have still not got a call. In fact I went ahead and did an online order after waiting for about 3 hours. This is not the kind of customer service one would expect from a high end retailer like Hugo Boss. I am very disappointed and hope not all your specialists are this inconsistent with their level of service. 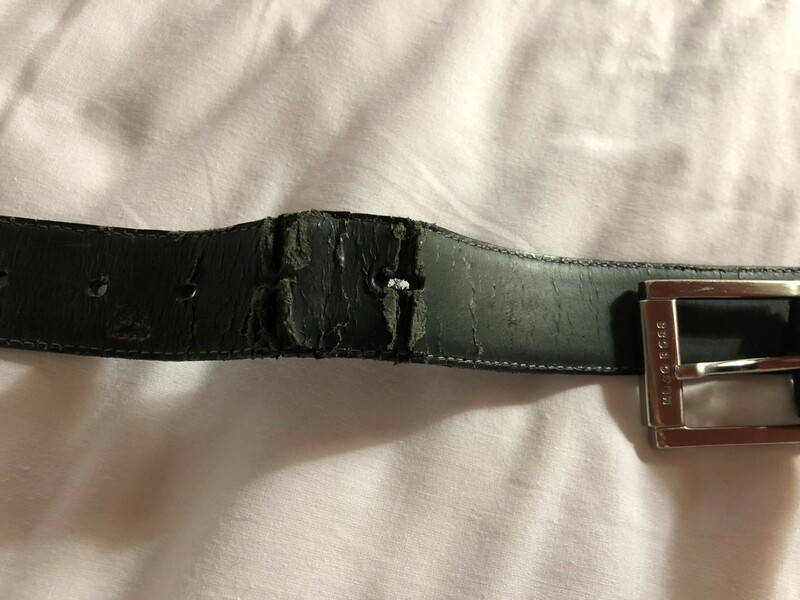 About (less than) 2 years ago, I visited the Hugo Boss outlet at Bicester (UK), near London, and purchased a belt. After a little usage over the 2 years, the belt has just degraded badly, please see picture enclosed. I am a regular customer of Hugo Boss and am hugely disappointed with the quality this time. Please resolve this for me, greatly appreciated. A brand like Hugo Boss does not want such kind of bad products in your portfolio. I have 2 sons who regularly buy Hugo boss t shirts and jeans I would like to point out at this stage that the quality and presentation before and after laundering have always been exceptional. However this year I have had problems with and tracksuits. Because of the usual good quality and the price of the items I feel I need to bring to your attention. Both sons have bought jeans on separate occasions but once washed the inside leg seam has twisted and puckered as far up as the knee. Both sons have bought tracksuits one grey and one navy (the navy one costing £500.00 or more) only for the toggle on the zip to break off. As a general rule a complaint is the last resort but having worked in the clothing Industry myself quite frankly I am disgusted that a reputable company has not picked these problems up themselves through their own quality control procedure and demanded a discount from their supplier. I also find it hard to believe that there are no points of contact for yourselves to be able to make a complaint. Please contact me so I can pursue this further with item numbers or photo evidence. I bought a cream cardigan from the hugo boss website a while ago. I have only worn it about 8 times and it has bobbled under the arms and I followed the washing instructions and it has shrunk - a lot. I buy boss gear for myself and my husband a lot and we both have numerous clothing items as well as towels etc and this has not happened before. Your clothes are well made and good quality and that's the reason we keep purchasing things but I am really disappointed in the cardigan that I purchased and only washed once. This is my first Hugo Boss complaint and I hope it will be my last. I took care of it and washed in cool water too. I was tired of loud fragrances and decided to go in for something mild. Hugo Boss was the choice of brand I preferred. Hugo Boss for Men is a fresh and powerfully attractive fragrance. It will be around for a long, long time. I use it in the morning and the fragrance lingers during the whole day. Its makes us feel fresh. Definelty something now I would continue for long and would be in my collection. Have feedback for Hugo Boss?